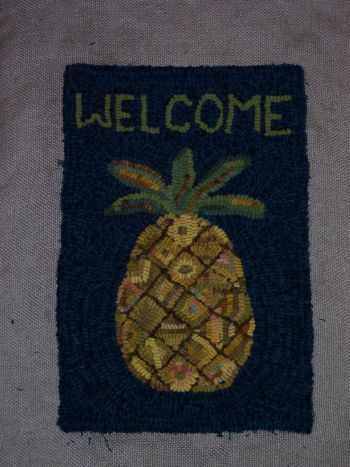 A fun and welcoming rug that allows for a variety of hooking directions in pineapple sections. Rug is 16" x 10 1/2". I added a braided border to mine, see photo gallery.